Many thanks to Kev and his team for an outstanding paving job. We only need a small area paved but it was an odd and difficult space with trees, a double gate, a garden shed and a retaining wall. Kev was on time for the quote, listens to the customer and offers good experienced advice. We are pleased with the paving; the utility of the area is much improved and looks great. Big thanks to Kev and his crew. They did an excellent job of paving our back yard. Could not be happier with the whole process, everything from the competitive quote to the finished product was well above expectations. The great attitude and professionalism Kev demonstrated made it a pleasure to deal with him and reassured me I'd got the right guys for the job. 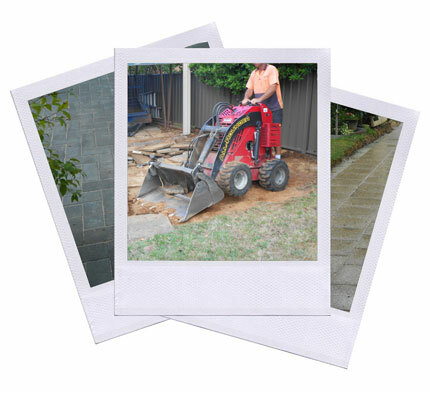 I totally recommend you consider For All Your Paving Needs for any paving job you need done. Thank you and your team for the paving work you did at our home on May 12-13 2015. The new paved area looks great and it gives us a good space to complete the landscaping around. Your response from quote, to starting, to completing the job was very fast, the team was cheerful and the site was left clean and tidy . We would be happy to recommend your work to others. We needed a recycled Canberra red brick curved paved path through our front garden to compliment our 1920s heritage listed cottage and we are pleased to say that Kevin Thompson and his team did an outstanding job. On time, on budget, friendly, professional and responsive to suggestions through the job, it was a pleasure to have them complete the project. Kevinís quote was also very reasonable. 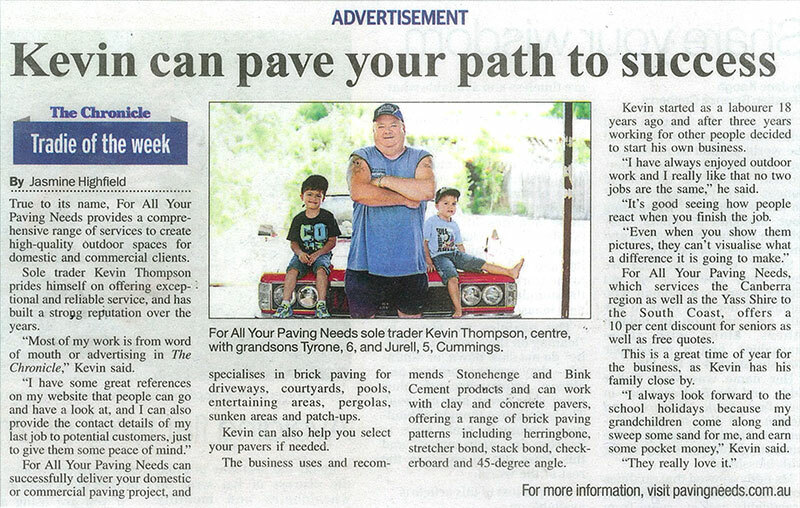 If you have a paving job, we recommend Kevin and his team to you. John and I would like to thank you and your team for the great job you did paving our patio area and laying the two new paths to join our side verandas. 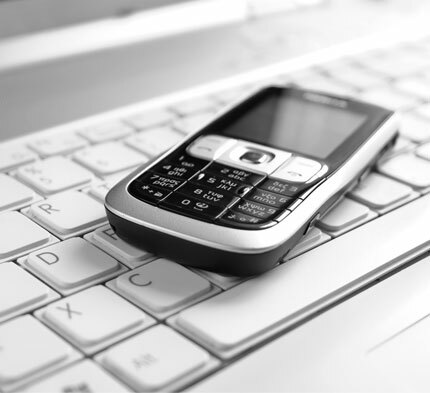 To receive your quote so promptly and have the job completed the same week is quite a feat. Everyone was punctual, professional, polite, extremely hard working and ensured they cleaned up any rubbish at the end of the day. Your bobcat driver kindly took the excavated soil into the paddock for us and managed to avoid interested dogs and horses. 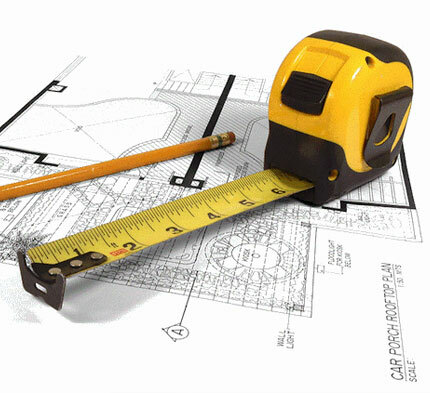 We have no hesitation at all in recommending your services. Thank you once again - we're thrilled with the result! All told Kevin and his crew from For ALL Your Paving Needs laid 151 sq meters of paving for us. This work was carried out most professionally. Any difficulties encountered were overcome after discussion and Kev's expert advice taken. The boys worked very hard without break and all debris was removed at the completion of the job. We are very happy with the work done and in our opinion it was money well spent. Love their work!!! 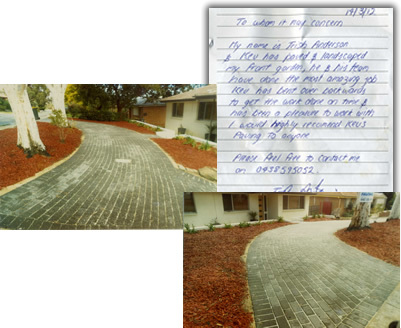 Kevin Thompson, For ALL Your Paving Needs, and his workers paved 3 areas around our home extension in November 2005. Kevin came to quote at the agreed time, his written quote was received within 24 hours and work started on the agreed day. 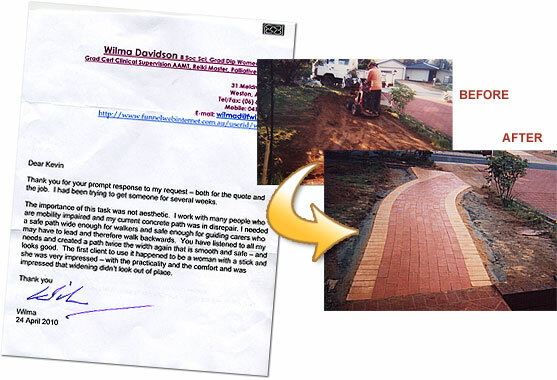 Kevin was also very good with advice and suggestions of how and where to place pavers. Some excavation was required and Kevin's bobcat operator completed this with a minimum of disturbance to surrounding areas. Sand and scalping dust was then spread onto the areas, and leveled and the "boys" started laying the pavers. They worked hard as a coordinated team and knew what they were doing. 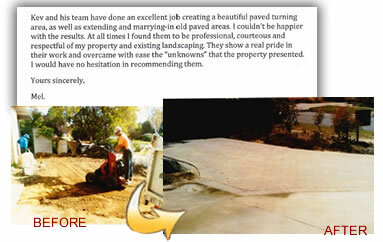 Sand was spread between the pavers and then the area was compacted. 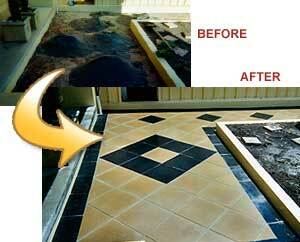 The work was completed within 3 days as quoted. The standard of work is excellent, improves our extension and gives us a beautiful outside entertaining area. Also we have a car parking space and a driveway repaired and extended to our new garage. 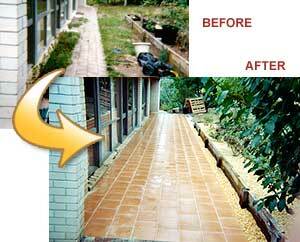 We highly For ALL Your Paving Needs recommend for all paving jobs. 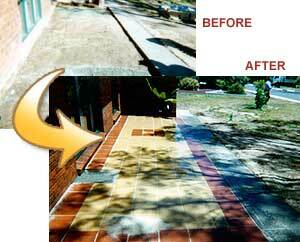 They are professional tradesmen, their workmanship is high quality and they are prompt and reliable. 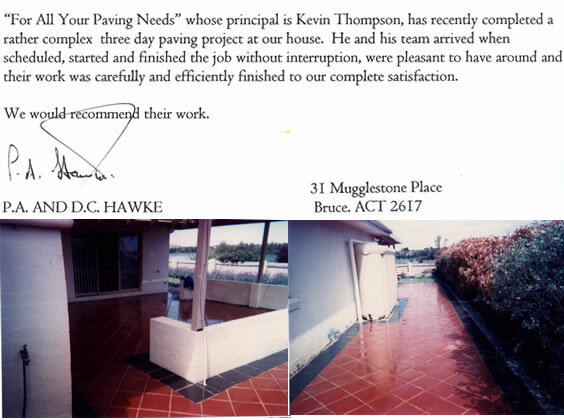 Kevin and his team have done an excellent job, and I am pleased to say that I would recommend them to anyone considering having paving done. 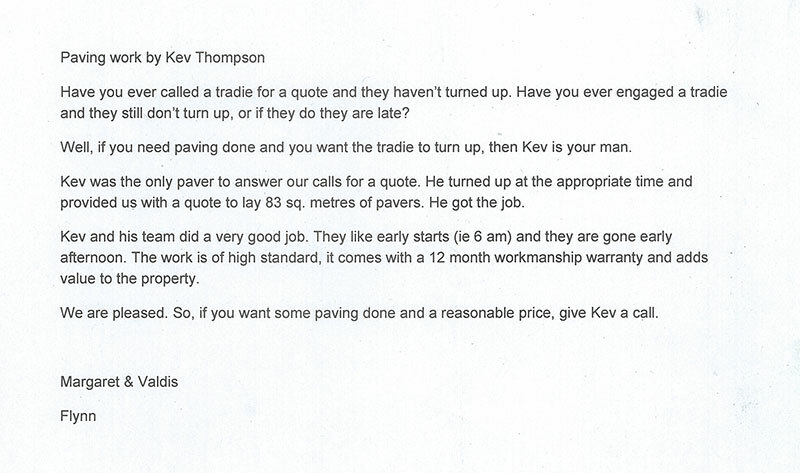 We would highly recommend Kevin and his team from For ALL Your Paving Needs for any paving work you may have. Kevin provided us with a very competitive quote. Once we had accepted his quote, Kevin and his team started the work thereafter. 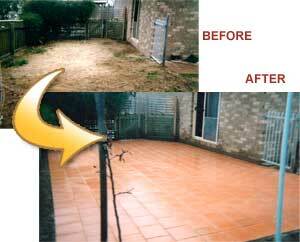 The completed job has exceeded our expectations and we are very happy with the outcome. Kevin and his team were punctual, efficient, tidy and very helpful. We made a late change to our paving requirements - Kevin took this change in his stride and has again done a wonderful job.